It was a game (or playoff run/campaign) that will go down in history! 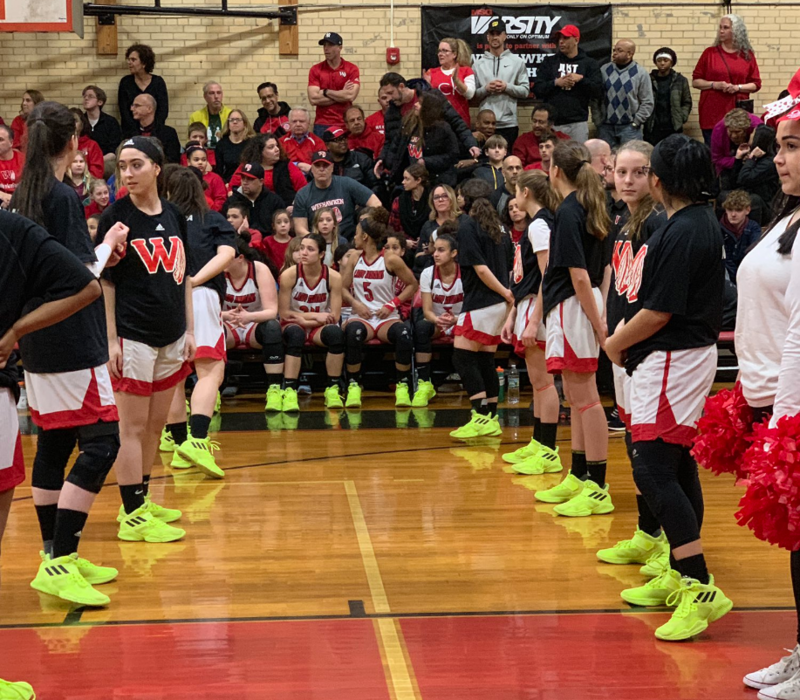 The Lady Indians completed their most successful campaign ever, with the first ever trip to a State Championship Finals for a Weehawken girls' program. Although the season ended on a disappointing note, with a defeat to powerhouse University High School of Newark, it was still a great season packed with many notable moments. The girls' run through the play-offs began with a victories over Weequahic of Newark, and Belvidere. The highlight reel moment came on Marie Eid's buzzer beater to break a 37-37 tie over Jonathan Dayton of Springfield. Eid's follow up off of Nicole Molano's desperation heave, sent the crowd into a frenzy as they stormed the court in celebration, and set the girls' eyes on a possible championship. On March 5th, more than 1000 students, teachers, residents, and fans from all over packed the gym beyond capacity for the Championship game. At one point, police had to close the doors as the game evolved into standing room only. The atmosphere was electric as all walks of life from Weehawken came to cheer on Coach Chris Hernandez and the girls. Sadly the season came to a close that night, as the girls could not withstand the relentless onslaught of University. WHS finished their season as the #4 ranked team in the NJIC, #8 in Hudson County, and #7 in all of Group 1, which includes over 100 schools! Senior Nicole Molano earned All-State Honors in Group 1, while Coach Hernandez was named Coach of the Year for NJIC-Meadowlands. Truly a great year for an amazing group of girls and an outstanding coaching staff. 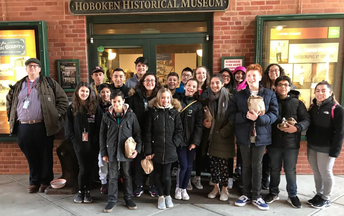 On March 19 the WHS 7th Grade Global Interactions Honors class visited the Hoboken Historical Museum (HHM) to explore an interactive exhibit on vintage postcards from across Hudson County. Ms. Mattiace and Mr. Perry were the teacher chaperones for this unique field trip experience. For starters, the students found several Weehawken locations featured in the postcard exhibit. They identified past and present sites from the postcards using a custom augmented reality app on their smartphones or on IPads provided by the museum. The students also competed in a fun scavenger hunt; Alfredo Rodriguez and Andrew Tran won first, prize locating 13 out of 20 items. They next got to hear from HHM Director Bob Foster, who provided historical artifacts that allowed teams of students to use background knowledge to identify objects unique to Hudson County's history. Finally, students were able to write their own postcards to family and friends, and mail them right from the museum. When the museum visit concluded, and after a quick trip to Starbucks and an al fresco lunch (it was Hoboken, after all), the students walked to the scenic Hoboken waterfront with time to explore Maxwell Place pier, beach, and park. A fun, informative time was had by all! The accolades continue to roll into Weehawken High School. 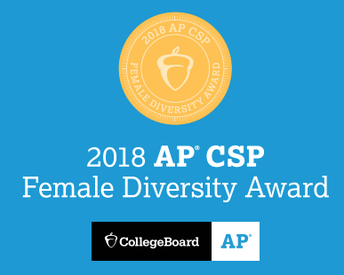 The most recent award has WHS earning the College Board's AP® Computer Science Female Diversity Award for attaining female student representation in AP Computer Science Principles for 2018. Among the more than 18,000 secondary schools worldwide that offer AP courses, Weehawken High School is one of only 685 that have achieved this honor, acknowledging the important work Weehawken is doing to engage more female students in computer science. 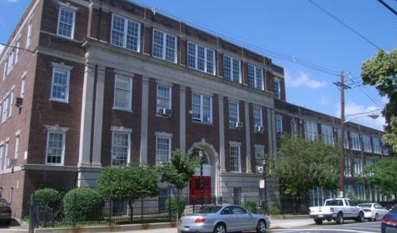 Kudos to the vision of the administration and guidance teams and congratulations to the hard working girls of Weehawken High School for, once again, doing us proud! In a few short weeks, the halls of WHS will be transformed to "Rydell High" for a weekend as the WHS Drama Department presents its much-anticipated spring musical Grease! Coming off the success of December's Awaiting Wonderland, expectations are pretty high for this trip back in time starring Danny and Sandy. The students have been working diligently since January in preparation for the opening night; cast and crew are currently performing "run-throughs," or practice performances, to fine-tune their respective roles. Grease is a story of friendships, romances, and adventures of a group of high school kids in the 1950s. It is one of the most successful musicals of all time, Grease features wholesome, Australian exchange student, Sandy, and a leather clad renegade, Danny, and their summer romance. The fun begins when they return to the same school in the fall and attempt to cross clique lines. The production, led by Director Tammy Jacobs and assisted by Joseph Stratton, will feature music managed by Rebecca Andrews and costumes overseen by art teacher Elizabeth McParland. Although there are adults involved, the production will be primarily student-run, with adults providing support and guidance. The students, who have put in countless after-school hours, are involved in pre-production, set and costume design, lighting, sound -- basically every element of the production. The Weehawken version of Grease will feature some special twists and surprises which will, no doubt, leave the audience wanting for more. The play will run for two nights -- Friday, April 5th and Saturday, April 6th. The curtain rises at 7pm and admission is $5.00. We expect a full house, so please arrive early... and prepare to be swept off your saddle shoes! Only one short year after introducing boy's Lacrosse, interest for the sport has exploded. For the first time ever Weehawken High School will attempt to field a girl's lacrosse team. Currently the roster, coached by Kyle Searfoss and Brian Fischer, has 23 girls of varying experience, which is double the size of last year's turnout. Since the time is in its' infancy, Coach Searfoss and Mr. DeStefano have set the bar at a reasonable height. Games have been scheduled at the Junior Varsity level to help get the girls some experience. Many are first time players, but these girls are hitting the ground running. The improvement seen by the coaches has been astounding. It's great to see so many students involved in something new, and hopefully the program can continue to grow and be something positive for the community. The Black Student Union, is continuing to show why it is one of the most popular clubs in Weehawken High School. Under the direction of Ane Eberhard, the BSU has blossomed into one of the most active groups in school. For Black History Month, the BSU went one step further. Earlier in February, the BSU set up a display at the entrance to the theater, honoring African American Firsts. The students had beautiful pictures and write ups explaining the importance of each person. At the end of the month the BSU members walked the catwalk in authentic African American clothing in the first ever BSU Fashion Show. 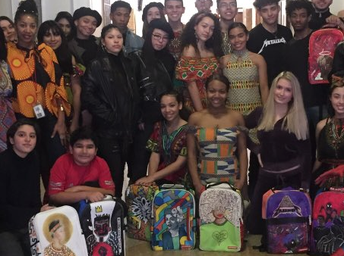 Many of the BSU members also participated in the Sprayground backpack design contest. The students were presented with special white backpacks, and tasked with creating the best design on the backpacks, as the bags themselves became the canvas for these budding designers. All in all it was a fantastic job by Mrs. Eberhard and the BSU. 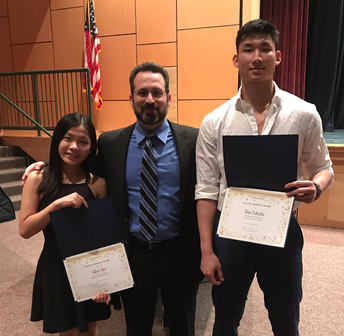 Rex Fukuda and Alice Yao were both recently honored by the Hudson County School Boards, as the Unsung Heroes of Weehawken High School. Although Yao and Fukuda are two of Weehawken High School's more decorated students, they both have special stories that qualify them as true Unsung Heroes. 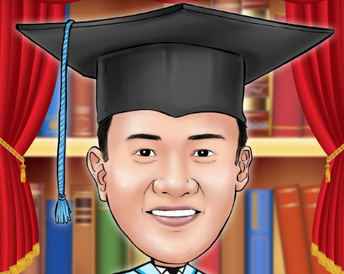 Rex Fukuda, is a three sport athlete; captain in football, wrestling and baseball. He is also near the top of his class academically. He personifies the image of the big man on campus. How is this unsung you wonder? Because Rex did all of this while watching cancer slowly take his mother from him. One would never know as Rex, never missed school or practices. But behind the accomplished young man was a broken heart. Rex recently fulfilled his dream, as he earned acceptance into the U.S. Naval Academy. Still making mom and WHS proud! 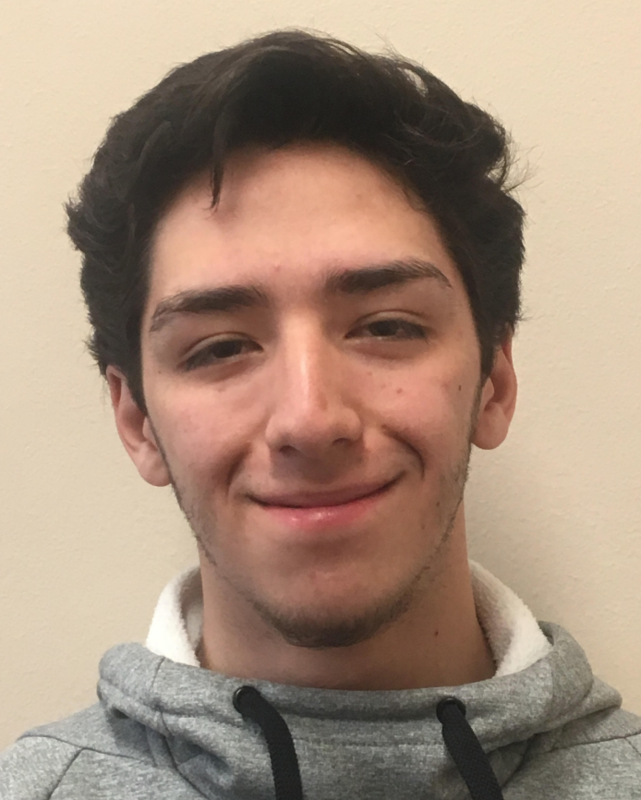 Yao, is President of Weehawken Peer Leadership, a volunteer group that is involved in almost all WTSD activities. If there is an event, there is a Peer Leader there; and that Leader is always Alice, who has attended every Peer Leadership event. In doing so she has racked up more volunteer hours then then any other WHS student! 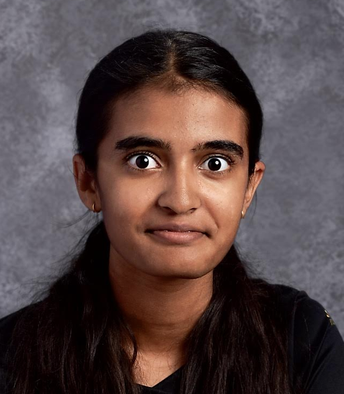 This is in addition to her rigorous schedule with multiple AP classes, cheerleading, babysitting and speaking and reading Mandarin and Japanese, and coding in 3 languages! Alice Yao is truly unique. Two Amazing kids, two amazing stories, two heroes. Class of 2020 Senior Portraits are being taken on April 26th on the WHS stage. Students will be mailed their appointment times.Students are to bring a $10 sitting fee payable to the photographer on the day of their appointment. 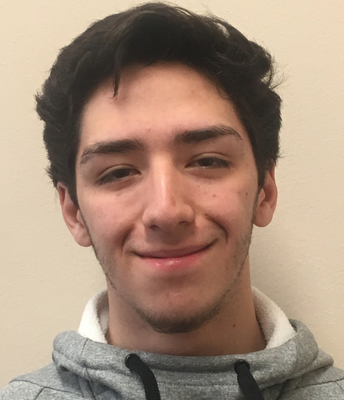 Jimmy, a senior, will be attending Caldwell College as a student athlete. He will showcase his talents on the football field for them in the Fall. Misha, a junior, won the Silver Medal, at the Jersey City Medical Center/Robert Wood Johnson STEM Showcase. 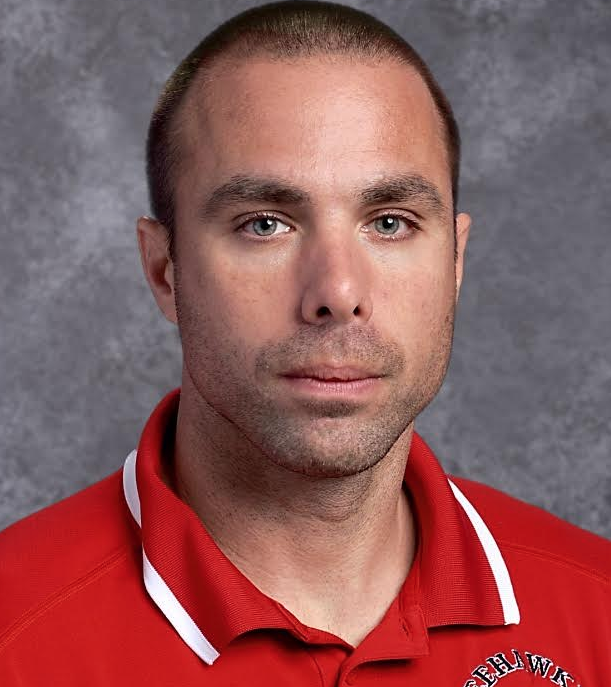 Mr. Fischer was nominated for the 2019 Exemplary Secondary Educator Recognition Program.